Pro Color Painting crew working a commercial building. A water-proofing approach to exterior painting is just as important as a clean and neat exterior paint job. So many may “color” the exterior of a house without taking into consideration the harsh elements capable of destroying siding, roofs, doors, handrails etc. This can cause a wide variety of problems and expense that could have been avoided by “water-proofing”. Mainly wood rot, water intrusion and paint “peel” are the culprits. A few general items to remember when painting or maintaining the exterior of your home. Don’t skimp on the quality of products. Prepare extensively. Including cleaning of surfaces, priming/sealing of raw or troubled areas. Remember the edge of wood is like a sponge and where rot usually starts. Caulk around windows, doors or anywhere moisture can intrude. Fill all voids. Apply finishes as to protect and last not just color, think “millage” or thickness. Two medium coats are always more efficient than one thick. Your finished product will last longer with cleaning every 12-18 months. Florida’s extreme conditions can play havoc on your home’s exterior. Storms, heat, rain and humidity can all play a factor in the longevity of your exterior finish. Always “weather-proof” when painting outside. Your exterior painting needs may vary depending on the situation, always consult your local professional for specific directions, or a more detailed approach than covered herein. 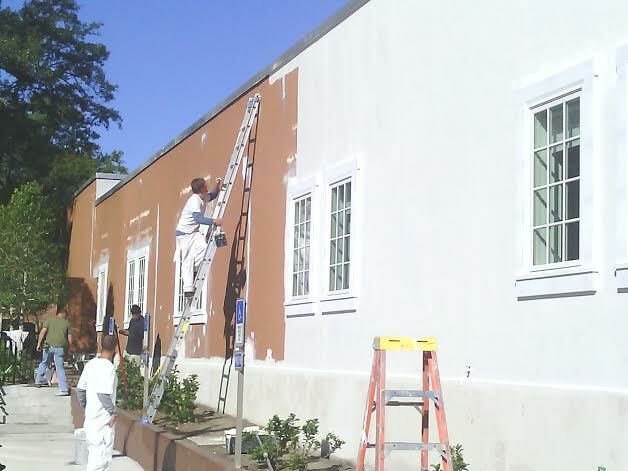 Pro Color Painting is a commercial & residential painting contractor in Jacksonville. A full service painting and pressure cleaning service.